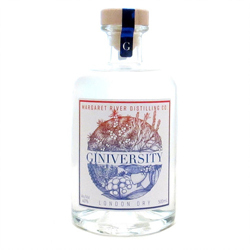 A distinct fusion of nine traditional botanicals in addition to Meen, a unique botanical wildly foraged in Australia’s South West, creating a unique, refreshing, dry style of distilled gin. Pronounced botanicals include Juniper, Coriander, Citrus and Meen. With a delicate pepper flavour that sets this London Dry Gin apart from any other in the world.